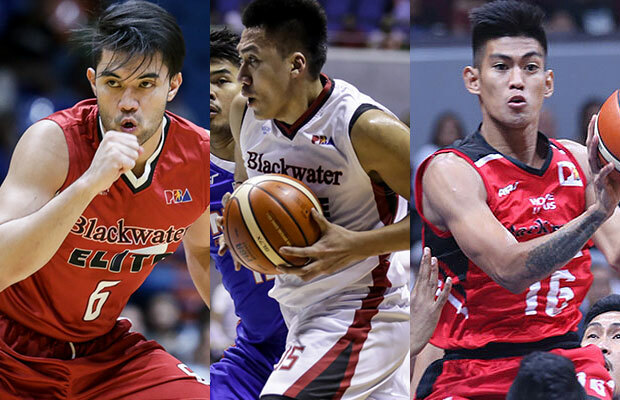 Raphael Banal, James Sena and Renz Palma got a fresh one-year contract from Blackwater Elite. The Ever Bilena Cosmetics owned team seems like they’re happy with the outcome of their 2018 PBA Governors’ Cup campaign especially during the eliminations round. The franchise probably wanted to keep their current roster as it already established a team chemistry, one of the main reasons why they registered 7-4 win-loss record. They almost made it to Top Four which could be the best ever achievement of their squad. Raphael Banal was their top pick in the regular draft back in 2016. Although the younger Banal rarely seen logging significant playing minutes, Blackwater seems still faithful in his potential. The upcoming season could be more Ael Banal playing in the court as there’s no import that will compete with his playing time. Renz Palma was Blackwater’s second-round pick in 2017 where former Elite’s head coach Leo Isaac got impressed with his stint in PBA D-League in Tanduay. “Yung Palma, nakikitaan namin ng grabeng speed at grabeng athleticism e. Masarap idevelop into a defensive player. Kung may player na [Marcio] Lassiter, [Alex] Cabagnot or [Terrence] Romeo na gusto mo ilockdown at padepensahan, ito yung player na pwede mong asahan,” Isaac said. Big men are becoming a rare commodity in PBA nowadays and this upcoming 2018 PBA Draft the talents it brings are more from guard position. That might be one of the reasons why James Sena’s contract got extended with another year. Sena’s presence inside the court is valuable for the team as his size and length can at least slow down their opponent’s big-men.